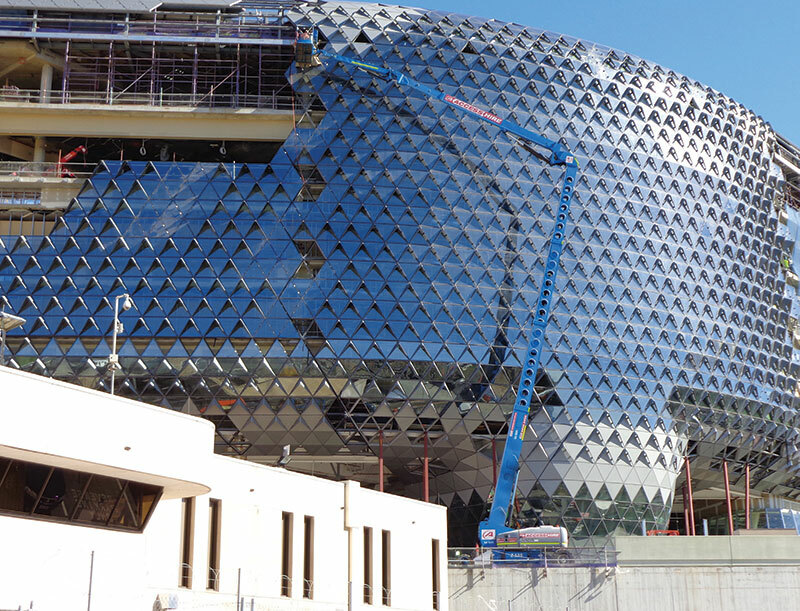 Construction is well underway on an extraordinary new building in Adelaide. The South Australian Health and Medical Research Institute is expected to be completed by the end of this year, following a two-year build. Construction work here is expected to create around 1,400 direct and 1,500 indirect jobs and once completed the facility will house up to 675 researchers. From the outset, Genie® equipment has been on site, being provided by Access Hire SA. Account Manager, Greg Lees, said that his company had been supporting a broad range of contractors on site. Most recently, Access Hire has been supporting a major contractor who is installing the aluminium and glass facade to the building. This is an extensive and complex process with the glass work reaching from the ground all the way to the top floor then over a curved parapet in a bird's nest design. Three Genie Z-135 boom lifts have been working on site to allow the installation to progress. The Genie boom lift deemed the best unit for the job based on the reach of the boom plus its small footprint. Genie has also been the brand that workers on site have accepted as well. All the feedback to Access Hire SA has been that the Genie brand is reliable and can be used with confidence, and of course, it has proven to be easy to operate.